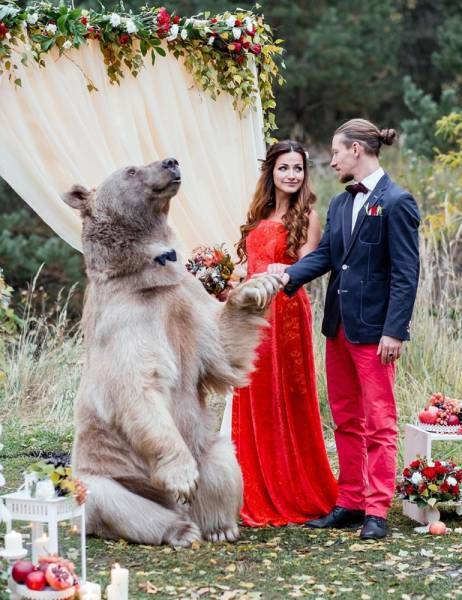 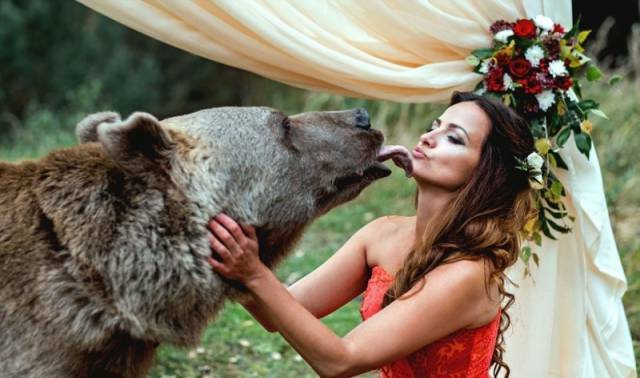 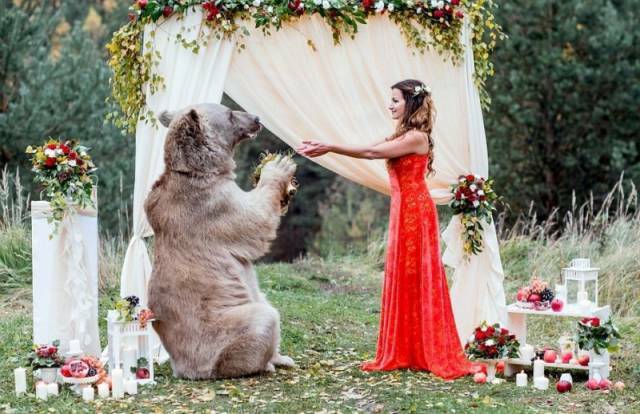 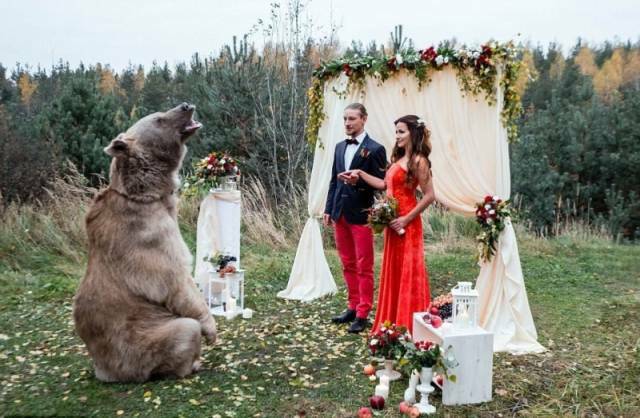 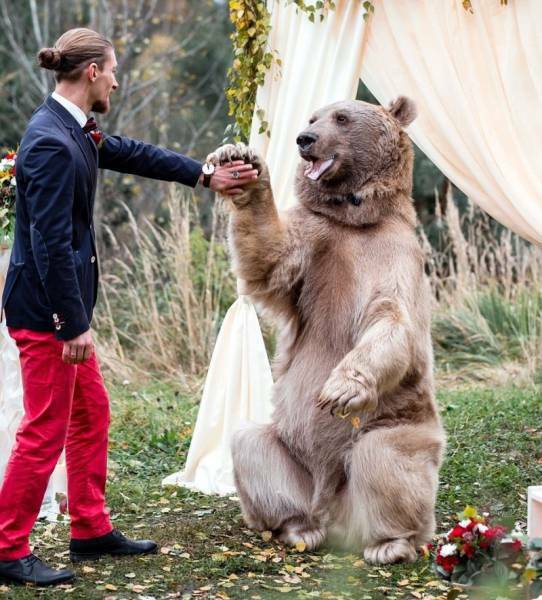 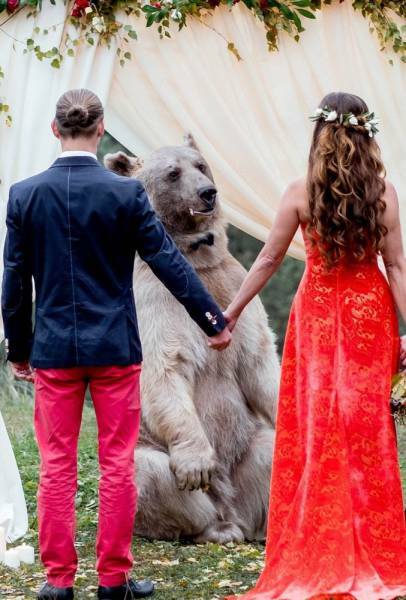 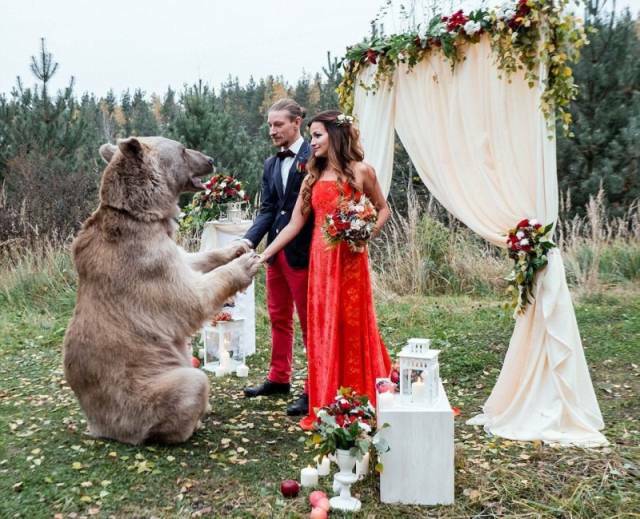 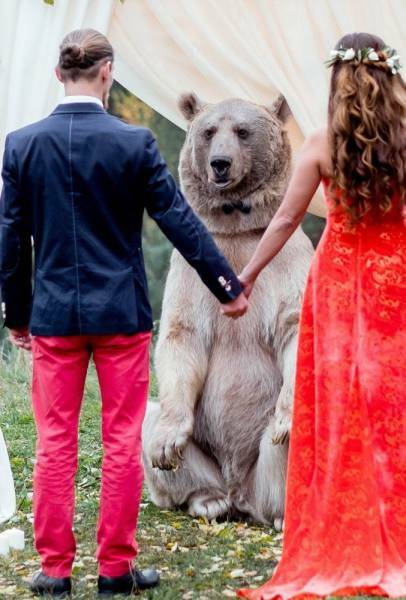 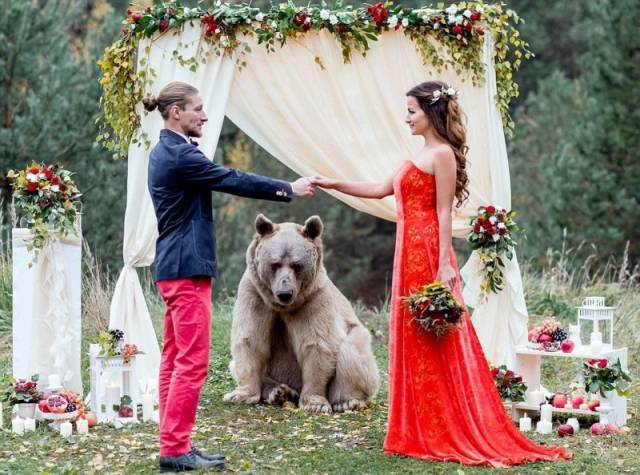 A couple from Moscow “invited” a big brown bear to officiate their wedding ceremony. 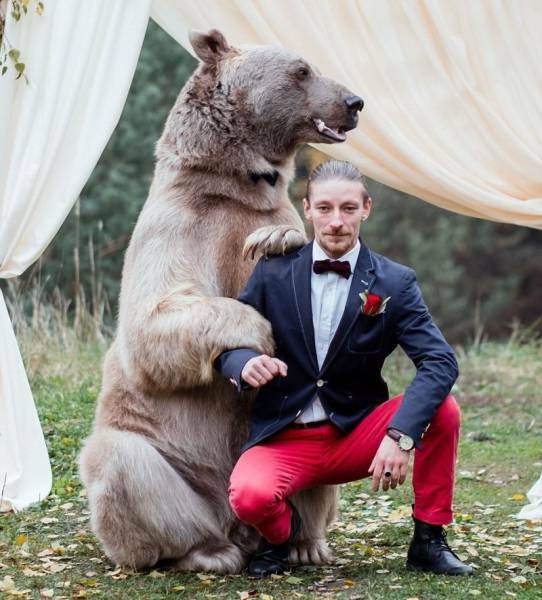 Everything went great and the bear enjoyed posing for a photo shoot. 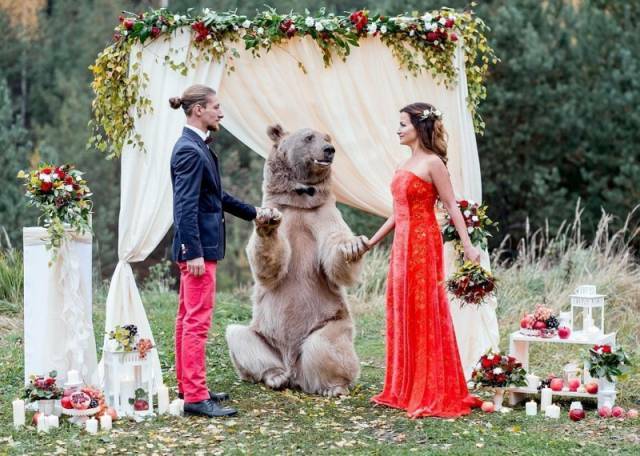 0 responses to "Just An Ordinary Russian Wedding (11 pics) "